A combined concert from two of the School of Music’s most community-minded ensembles. This shared evening of traditional and contemporary wind band music is a perfect concert for the whole family to attend. It’s sure to inspire new and lapsed musicians into incorporating more music-making into their lives. 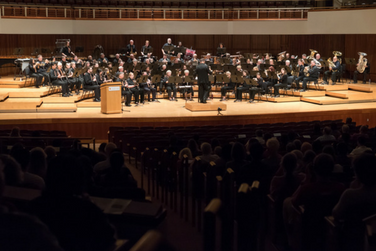 Conducted by UMD alumnus Bill Sturgis and UMD Interim Assistant Director of Bands Craig Potter.